Sinai and Synapses | Scientifically Grounded. Spiritually Uplifting. I am very excited to announce that Sinai and Synapses is expanding! As of today, it is moving beyond simply a blog and officially begins as a project that aims to bridge the scientific worlds, giving people new tools and new language that is scientifically grounded and spiritually uplifting. It will offer adult education opportunities, high-level learning for clergy and scientists, a public event in the spring of 2014, and of course, more blogposts. Its new website is sinaiandsynapses.org, and soon this URL will automatically forward there. All of the old blogposts and comments from this site are also archived. Sinai and Synapses is being incubated at Clal – The National Jewish Center for Learning and Leadership, which is a registered 501(c)3 organization. If you would like to support our work, you can make a donation here — in the box titled “Dedication,” write “Sinai and Synapses” in the box. And if you want to contact me with more questions, feedback or suggestions, please e-mail me at gmitelman [at] sinaiandsynapses [dot] org. Thank you so much for your support and interest in this blog, and I am very excited to expand the reach and impact of Sinai and Synapses! We often tend to use the same language for time as we use for money. We “spend” it. We “save” it. We “buy” it. 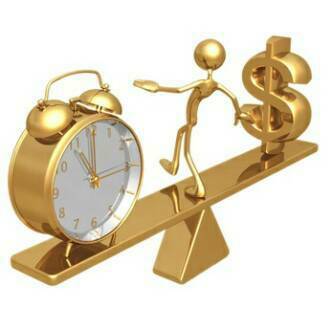 We use those same words because both time and money are very precious resources to us. But while money is always money (the same 20 dollars can used to buy food, movies, or in my case, a new book), time is a little more nuanced. In fact, the Greeks had two different words for time: chronos and kairos. Chronos was the quantitative sense of time. It could be measured and dissected, and most importantly, was undifferentiated. Kairos, in contrast, was the qualitative sense of time. It was psychological, how we felt time, and it reminded us that not every moment was exactly the same — some moments were more powerful, more important and more holy than others. To phrase it another way, if chronos is the date of your wedding, kairos is your wedding day. So time is paradoxical. Sometimes we look at it through our daily or weekly schedules, placing all our obligations and opportunities into our calendar. When we look at time in this way, it is something we use, and has value only to the extent that it can help us achieve other goals. But sometimes we look at time through the lens of what is most special and important in our lives. When we look at it in this way, it is something we experience, and has value in and of itself. Our view of money, however, doesn’t have this challenge. Money doesn’t have value in and of itself — its power comes in what it allows us to do. The question then is, are we using our money to help us do what we truly want to be doing? 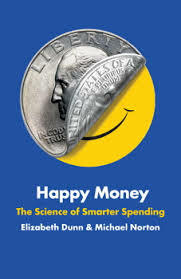 In the new book Happy Money: The Science of Smarter Spending, Elizabeth Dunn and Michael Norton outline the different ways we can use money to increase our well-being. While money doesn’t buy happiness (at least not directly), if we use our money correctly, we can find opportunities for more joy and satisfaction in life. And one of the primary ways we can do that is to use money to buy time — but it has to be a specific type of time. We all are busy with our lives, and we often think that buying a new time-saving gadget will make our lives better because it will “save us time.” Instead, these new gadgets often force us to do more work in the same amount of time. But that’s because when we are looking to “be more efficient,” we are looking for more chronos time. Transforming decisions about money into decisions about time has a surprising benefit. Thinking about time — rather than money — spurs people to engage in activities that promote well-being, like socializing and volunteering. In a 2010 study, more than three hundred adults completed a simple task designed to activate the concept of either time or money. One group unscrambled sentences related to time, such as “sheets the change clock” (possible answers: “change the sheets” or “change the clock”). Another group unscrambled sentences related to money (“sheets the change price”). Afterwards, everyone decided how to spend the next twenty-four hours. Individuals who unscrambled sentences related to time were more inclined to socialize and engage in “intimate relations” and were less inclined to work. Those who unscrambled sentences related to money showed just the opposite pattern, reporting enhanced intentions to work and diminished intentions to socialize or have intimate relations. In Judaism, the paradigmatic kairos time is Shabbat. During the six days of the work week, we are supposed to be productive, to be working hard in order to support ourselves and our family. But on Shabbat, we are told to take a break. To rest. To be with friends. To be with family. To go for a nice, long walk. To read and to learn. To pray. To be reminded that time can be special. Indeed, while every dollar we earn is the same, not every moment in life is the same. And while we can always potentially gain more money, we never gain more time. While you can always potentially get a refund on your money, once your time is spent, it’s gone. So let’s make sure we’re spending it wisely. We think we know our home planet. After all, we know its landscape. We know its contours. We know how to get from one place to the next. But the truth is, what we know about Earth is really only about 30% of it — the terrestrial part of it. The other 70%, the ocean, may as well be an entirely alien planet to us humans. We can’t spend more than a few minutes there without at least some sort of breathing apparatus. If we go too deep too quickly, we can get crushed by pressure. And if we were to be dropped into the middle of a vast body of water without reference points nearby, we’d be completely disoriented. [T]oday, we’ve only explored about 3 percent…of what’s out in the ocean. Already we’ve found the highest mountains, the world’s deepest valleys, underwater lakes, underwater waterfalls…And in a place where we thought there was no life at all, we find more life (we think) and more diversity and density than in the tropical rainforest, which tells us that we don’t know much about this planet at all. There’s still 97 percent, and either that 97 percent is empty, or just full of surprises. We all have a tendency to make assumptions about how much we know. Psychologist Daniel Kahneman calls this cognitive bias “What You See Is All There Is.” We look at what is front of us, and assume that we’ve learned all we need to know about it. So, for example, we live on the land, and therefore, we think that’s where all the interesting things happen. What we ignore — or at least forget — is just how much richness there is below the surface. One of the wonderful ways that Judaism pushes us to “go deeper” is through its particular way of reading sacred texts, called “PaRDeS.” While the word “pardes” literally means “orchard,” what it really means is an acronym for four different levels of studying: “p’shat,” simple, “remez,” hint, “drash,” interpretation and “sod,” secret. When we look at texts in this way, we begin with the text itself — what is it saying on its own terms? Regardless of whether we agree or disagree, whether we like or dislike it, we do have to ask “What does it say on its surface?” But even though that is where we begin, it is not where we stop. Instead, we next connect the text to other stories and sources: What other allusions does this text have? What else does it remind us of? After that, we ask, “What meaning can we draw from it today? How can we interpret this text so that we can find lessons from it?” Finally, we explore how this text can give us a deeper understanding of ourselves and our world. The truly powerful things about the PaRDeS method is that also allows us to understand people’s own unique stories more deeply, as well. This idea, explained by Rabbi Dayle Friedman in the book Jewish Pastoral Care, works like this: the p’shat is the simple level of what is actually happening to someone, the remez hints at their emotional response, the drash turns into how they will create and construct meaning around what has happened to them, and finally, the sod is the intimate and often wordless connection between people and the world at large. Whether it is the ocean, a sacred text, or another person’s story, too often, we assume that all we need to know about something is what we see on the surface. But David Gallo’s work gives us a beautiful metaphor: as we begin to realize just how much we don’t know, we begin to understand that there is an inexhaustible sense of mystery, wonder and amazement in this world. Ultimately, the more we discover, the more we learn there is to discover. We just need to plumb its depths. Will humans ever land on Mars? Quite a number of people are trying to make it happen. Buzz Aldrin has just published a book Mission to Mars: My Vision for Space Exploration. 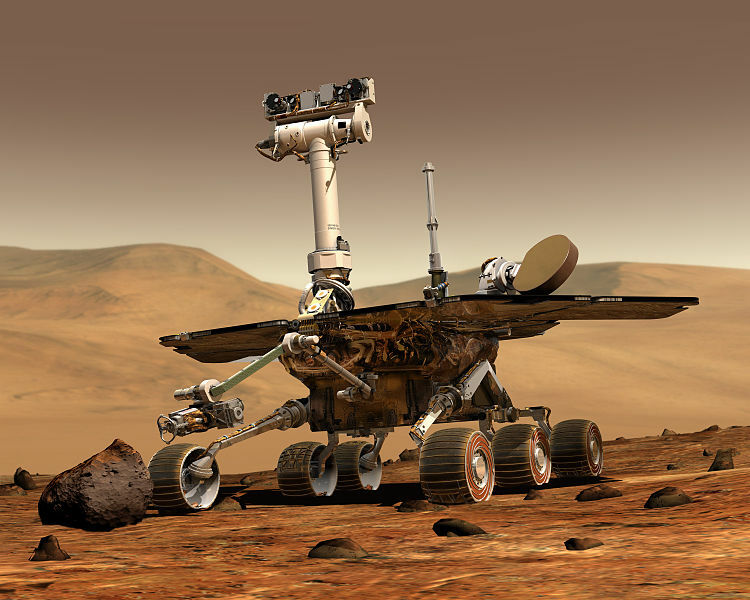 About half a million people are expected to apply for a one-way trip to Mars through the Dutch company “Mars One.” And even though it was a robot doing the landing, over 3 million people watched Curiosity land on the red planet. Over 50 years ago, the nation (and the world) were riveted by NASA’s attempts to land a person on the moon, and bring him back safely to the earth. And when NASA succeeded, the whole world felt a sense of pride and awe when Neil Armstrong and Buzz Aldrin stepped out of the LEM and onto the Sea of Tranquility. In its way, space travel is its own reward. Yes, the space program has provided us with concrete benefits: GPS navigation, meteorological forecasts, and even treatments for osteoporosis. But what it truly offers us is inspiration and a drive to expand our knowledge. My favorite quote, I think it was Antoine Saint-Exupery who said, “If you want to teach someone to sail, you don’t train them how to build a boat. You compel them to long for the open seas.” That longing drives our urge to innovate, and space exploration has the power to do that, especially when it’s a moving frontier because all traditional sciences are there. That’s the same message we get on Shavuot, our celebration of Torah, because the study of Torah, too, doesn’t always provide an immediate return on its investment. Instead, we study Torah lishmah, for its own sake. Why? Because Torah is not designed to train us how to build a boat. It is designed to make us long for the open seas. True learning never stops; it pushes us out ever-farther into uncharted territory. As both space exploration and Torah study show us, each new discovery spurs new lines of inquiry; each new challenge forces us to create innovative solutions; each new venture helps us push the boundaries of knowledge. Now, it is true that as vast as the open sea may be, it is not infinite. And neither, most likely, is space. But human curiosity — our drive to explore and learn and grow — just might be. That quote is the essence of why we celebrate Passover, read the Haggadah, and hold a Seder. When we think about that sentence, we naturally focus on how Passover should inspire us to work for freedom and justice. But often, we overlook two crucial words in that sentence: “as if.” And those two words may, in fact, be the most important ones. 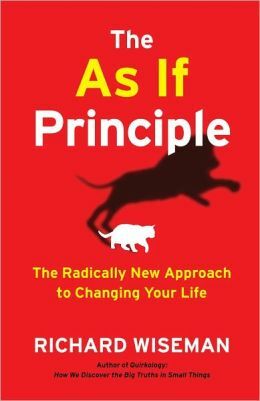 The words “as if” inspired psychologist Richard Wiseman to write a new book called The As If Principle, based on William James’ idea that “if you want a quality, act as if you already have it.” Wiseman highlights some fascinating research that shows that change doesn’t always come from the inside out — sometimes, change comes from the outside in. In other words, if we act “as if” we were trying to improve who we are and how we behave, we actually do improve who we are and how we behave. One striking example he brings up was a method to get heavy smokers to give up cigarettes. There have been all sorts of attempts to get people to give up smoking over the years, and most have used the scare route, such as public service announcements featuring people who have lost their voice box or ever-increasingly-ominous warnings on cigarette packs. But John Mann, a researcher at Harvard, decided to try something different: role-playing. Twenty-six very heavy smokers were randomly assigned to two different groups. One group was asked to behave “as if” they had been diagnosed with lung cancer, and even went into a room that looked like a doctor’s office, complete with an actor in a white coat, X-rays and medical charts. This group was asked to think about how they would behave now that they “had” cancer. In contrast, the control group simply were simply presented information about how awful it would be to have lung cancer, but didn’t do any role-playing. Role-playing, acting “as if” we were someone else, changes our outlook and our behavior, and so that is why the Seder commands us to act “as if we ourselves went forth from Egypt” — because Passover, at its heart, is truly an act of role-playing. We have props (the seder plate, Elijah’s cup), stage directions (recline, drink wine) and a script (the Haggadah). And they are all designed to help us act as if we ourselves went forth from Egypt. The “as if” principle teaches us that “once you behave as if you were a type of person, you become that person.” So on this Passover, when we act “as if” we ourselves went out from Egypt, we are also leading ourselves to act like people who care deeply about the oppressed, who fight for justice, and who extend a hand to those less fortunate. And when we act that way, we soon realize that we aren’t simply role-playing; we truly are changing ourselves and our world for the better. Indeed, those two little words that we too often ignore — “as if” — are truly what allows us to transform our hopes and dreams into our reality. 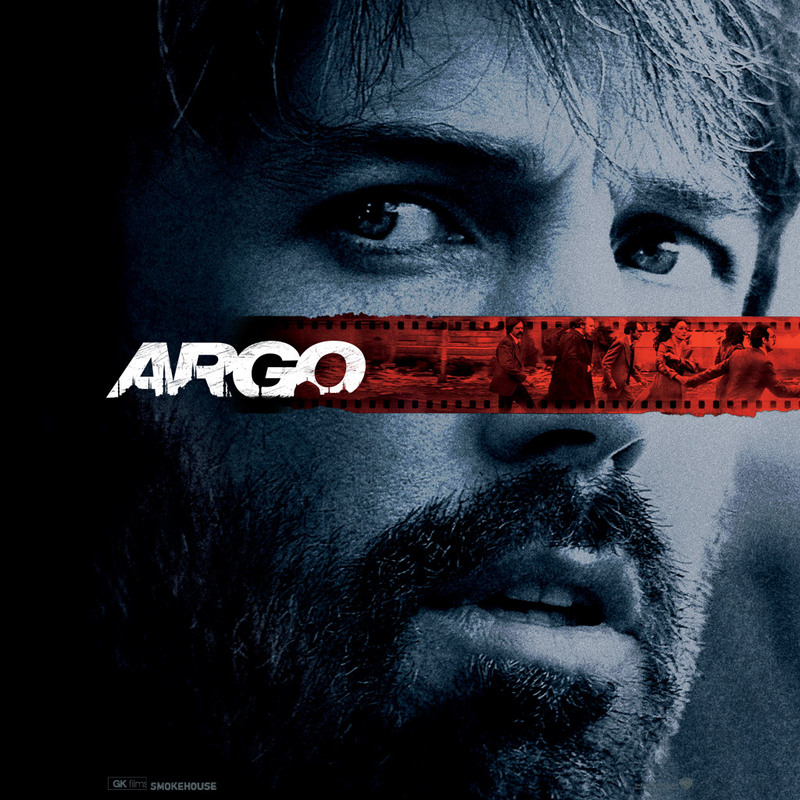 While there were quite a few excellent movies in 2012, my favorite, far and away was “Argo.” I saw it with my wife and another couple, and the film was so well-crafted that my friend was quite literally curled in his seat, covering his eyes and holding his breath during a scene where the only thing happening was the printing of plane tickets. The whole ending was tense, taut and exciting. It was also completely fabricated. Yet when I learned about that, I actually wasn’t all that upset. It was a great movie that prompted me to read Tony Mendez’ personal account how he got six Americans out of Iran, so that I could learn what had been true, what had been adapted, and what had been made up whole cloth. While history is an attempt to correctly portray past events, memory is a reconstruction of past events, some of which are going to be inherently distorted, overlooked, or even completely rewritten. And for our day-to-day lives, memory is much more important than history — and that’s an idea that resonates with a Jewish perspective. Avraham Infeld, who served as President of Hillel International, once said that there’s no such things as Jewish history; there is only Jewish memory. What’s the difference? “History means knowing what happened in the past. Memory means asking how what happened in the past influences me, and my life today. It is for that reason that we do not teach our young that our ancestors left Egypt. We teach them that ‘every human being must see him or herself as having left Egypt. '” Memory, in other words, is the driver for the story we tell about ourselves here and now. So yes, we do need history. We do need accuracy. We do need to make sure that we trying to act with intellectual integrity. But we also shouldn’t conflate history with story. After all, our personal and communal myths are rarely historically accurate, but that doesn’t mean that they don’t have value. Every day, I do the New York Times crossword puzzle. 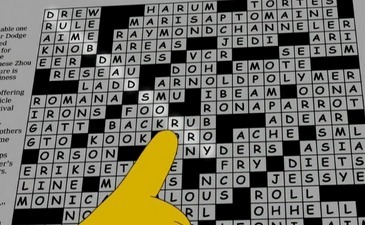 It truly is a ritual for me, almost as sacred as Shabbat: every night before going to bed, I load up the crossword on my phone or my computer, and try to plow through that mental challenge. I’ve discovered that there’s a deep satisfaction that goes far beyond filling in that last box to complete the puzzle, and what I’ve learned is more than just the fact that Charles Lamb was also known as “Elia” and a whole long list of four-letter European rivers. What I really love about crosswords is the struggle, trying to figure out how I’m going to go about solving it. And what the process of solving crosswords has truly taught me is how easily success can become failure, and how easily failure can become success. Quite often, I come across a clue whose answer I feel certain that I’ve filled in correctly. And then I discover that one of the crosses doesn’t work. But I was so sure I was right! But it’s not working. That’s not easy to do in life — to be able to say, “Perhaps I was mistaken.” But what I’ve discovered is that when I have to re-think my approach, I gain new knowledge that I wasn’t expecting. I become a better solver for future puzzles. I begin to think in new and innovative ways. To put it another way, I’m learning. In other words, learning is a life-long process, and it is never a simple journey from A to B to C — it’s a zigzag journey, and often requires several false starts. Indeed, making mistakes — and learning from them — is crucial for our sense of growth. In fact, building from our mistakes is what allows us to transform failure into success. In interviews we did with high achievers…we expected to hear that talent, persistence, dedication and luck played crucial roles in their success. Surprisingly, however, self-awareness played an equally strong role. It’s never easy to accept the fact that we may have been going down the wrong path. Anyone who does crosswords knows how frustrating it can be to write, erase, re-write, re-erase, and start a whole section over again. But sometimes, if we take a step back and re-think what we’re doing, we can figure out that one word (or even one letter) that causes the whole puzzle to fall into place. What had seemed like abject failure just a few moments earlier has now become a completed grid. So if we can become aware of our own shortcomings, if we can realize that at times our assumptions need to be revised, and if we can open ourselves up to new ways of thinking and new perspectives, then we can grow, learn and maybe even succeed. Indeed, crosswords can teach us more than just the first name of “NYPD Blue” actor Morales. They teach us how to fail — which is what we need to learn how to do in order to truly succeed.